If you’re anywhere near NYC this Friday and Saturday you’ll want to juggle your schedule to pay a visit to the Manhattan Vintage Clothing Show. 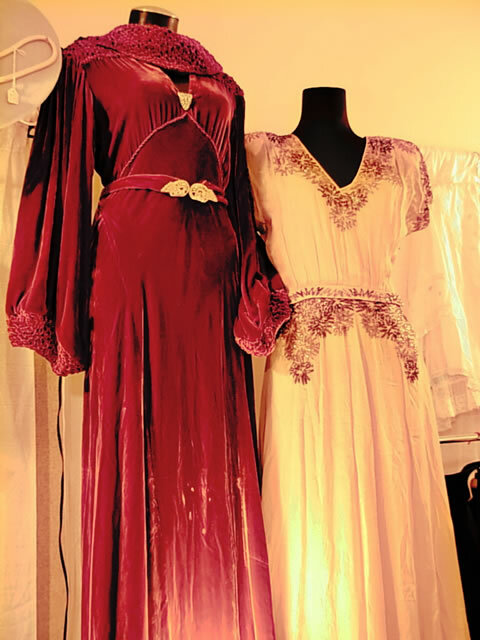 A cool 90 vintage clothing and textile dealers will be displaying their wares and making fashionista mouths drool. Catch all the fun at the Metropolitan Pavilion. Admission $20. Click here for full details. 1. Take advantage of early entry. Dealers, costume designers, and stylists start lining up before the doors open for the early shopping period, but this perk isn’t reserved for just those in the fashion industry. Anyone willing to cough up a little higher entry fee is able to get first pick of the racks so set your alarm clocks! Wear comfy shoes, bring a sweater since the venues can get chilly, and carry a tote or sling bag so your hands are free and your swinging handbag won’t be knocking down merchandise. 3. Bring a tape measure. 4. Dress in form-fitting clothes. If you don’t want to wait for a dressing room, it’s helpful to dress in form-fitting items. Huan Vu from Vu Vintage helped me drop my trousers and slip into a fabulous LBD right in his booth. So think leggings and tight tees when you’re getting dressed. Cash is king and some dealers are willing to offer cash discounts. But the venue for the Santa Monica show doesn’t have an ATM on the premises, so shoppers without cash are out of luck. 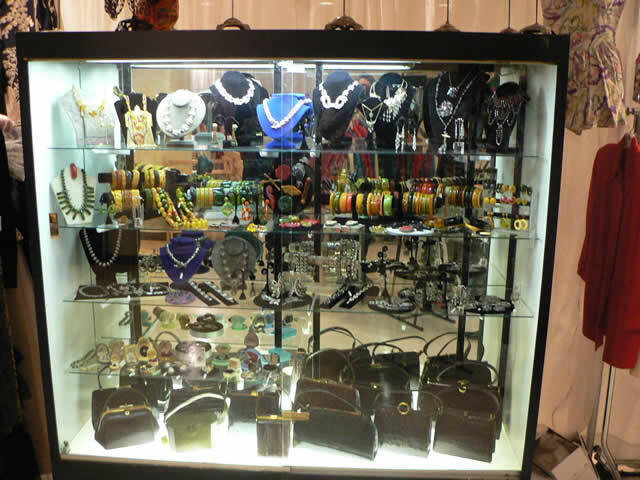 It’s polite to ask for help before reaching for something on display, before trying to open a handbag or jewelry clasp that you’re not familiar with, or before slipping on a piece that might be too fragile to wear. As Liz Baca pointed out, sometimes it seems like beads can fall off old dresses just by looking at them! And please, make the dealers happy by moving all garments by their hangers, not their sleeves. 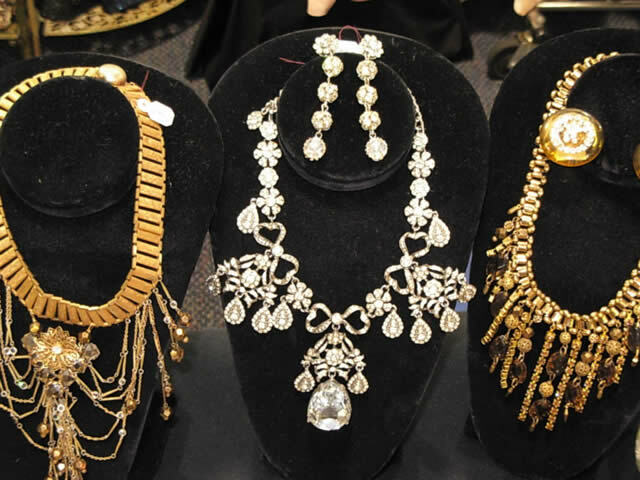 The Vintage Fashion Expo and other shows are excellent places to increase your knowledge of vintage clothing and accessories. In fact, the Expo even admits students free on Sunday. It can be a wonderful educational experience to talk with the collectors, vendors, and dealers. Just don’t monopolize anyone’s time if customers are waiting. 8. Learn about your items. I always like to ask the following question before purchasing an item: “What can you tell me about this piece?” Often you’ll hear a marvelous story about how the dealer acquired the item or tales about the previous owner. Or perhaps the dealer will share information about the designer or the era from which the piece came. It’s wonderful to go home with a fabulous vintage piece and a little extra detail about its history. Be prepared to be overwhelmed on your first visit to a show. There are so many great items to see that it can make your head spin. So it helps to have a plan and to seek out something special. Maybe you hope to find a great cocktail ring. Or maybe this trip it’s about adding another Ceil Chapman to your collection. Or perhaps you want to find the ultimate LBD. Knowing what you’re looking for in advance will help you zero in on it more easily. 10. Allow for the unexpected. Sure, it’s great to have a plan but you should also allow for the unexpected. You know, that piece that makes your heart skip a beat. Maybe it’s a bit over budget, maybe you have nowhere to wear it in the near future, but you just have to have it. And I say, go for it! 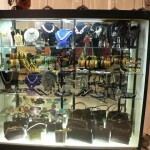 After all we are talking about one-of-a-kind finds that probably will never pass your way again. If you missed this weekend’s show, you have plenty of time to mark your calendars for the next Santa Monica show on April 24 and 25. And if you can’t wait that long, then plan a trip to San Francisco for the show on March 24 and 25. More information available here. Happy shopping everyone and I’ll see you at the next show! The longest-running two-day vintage fashion show in the country starts tomorrow in the Santa Monica Civic Auditorium. 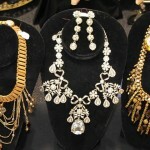 Each show draws anywhere from 75 to 100 dealers from across the country with jaw-dropping, eye-popping vintage goodies. And stylists, fashion designers, costume designers, celebrities, and vintage-lovin’ gals all patiently mark off their calendars until this not-to-be-missed sale. Expect a line for the Early Buying Session that starts at 9 am on Saturday morning and carries a premium $20 admission price. Regular admission is $10 and starts at 10:30 am on Saturday and 11 am on Sunday. Plus there’s a free Sunday return with all admissions. 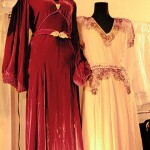 It’s dream shopping for a vintage fashionista! 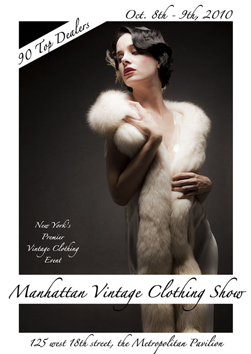 The Manhattan Vintage Clothing Show starts tomorrow and features 80 vintage clothing and textile dealers under one roof. The show is now in its 14th year at the Metropolitan Pavilion and it is THE place to be for clothing and antique textile lovers tomorrow and Saturday. If you’re thinking of attending, be sure to print out the $5 coupon at ManhattanVintage.com. And if you can’t attend, spend a few minutes watching the prior shows’ highlights so you can feel like part of the fun. It’s a great afternoon shopping trip for a vintage fashionista! P.S. If you decide to drop by, tell Brandi at A LITTLE VINTAGE that I said hello!